Regular exercise not only reduces the risk of cancer. Physical training can also support the therapy of a tumor disease. An international consortium of researchers, including scientists from the German Cancer Research Center (DKFZ) and the National Center for Tumor Diseases (NCT) Heidelberg, has discovered: Patients who exercise regularly not only feel physically fitter and stronger, they also rate their own quality of life as better and suffer less frequently from chronic fatigue syndrome. However, some patient groups seem to benefit more than others. Thanks to modern therapy methods, mortality from tumor diseases is decreasing. While before 1980 two thirds of cancer patients succumbed to their disease, today more than half can be cured permanently. However, the success of the therapy is often accompanied by serious side effects. Even after treatment has been completed, many patients suffer from physical weakness, chronic fatigue syndrome and ultimately a loss of quality of life. However, this does not have to be an inevitable fate. Numerous studies from recent years suggest that moderate to strenuous exercise is suitable for alleviating the side effects of cancer therapy and improving the quality of life. The individual patient benefits from this not only through improved physical well-being. "This can decide, for example, whether chemotherapy can be carried out as planned and thus indirectly contributes to the success of the treatment," explains Karen Steindorf, a researcher at the DKFZ and the NCT Heidelberg. However, the effect of exercise varies considerably from study to study, as the type, duration and intensity of the exercise program and the patients investigated differ considerably. Led by Laurien Buffart from the Free University of Amsterdam, the international research consortium POLARIS (Predicting OptimaL cAncer RehabIlitation and Supportive care) has therefore taken a closer look at the therapeutic benefits of sport in cancer. The scientists combined the data of patients from a total of 34 trials. The aim was to find out what effect sport during and after cancer therapy has on chronic fatigue syndrome, on physical endurance, on muscle strength, on self-reported physical functioning in everyday life and on quality of life. The result: "Sport helps, but not everyone benefits equally from it", summarizes Steindorf, who was involved in the consortium with two trials on sports therapy against breast cancer. With regard to fatigue and physical functioning in everyday life, such as carrying suitcases or climbing stairs, sport was particularly beneficial for patients who had severe problems in these areas. 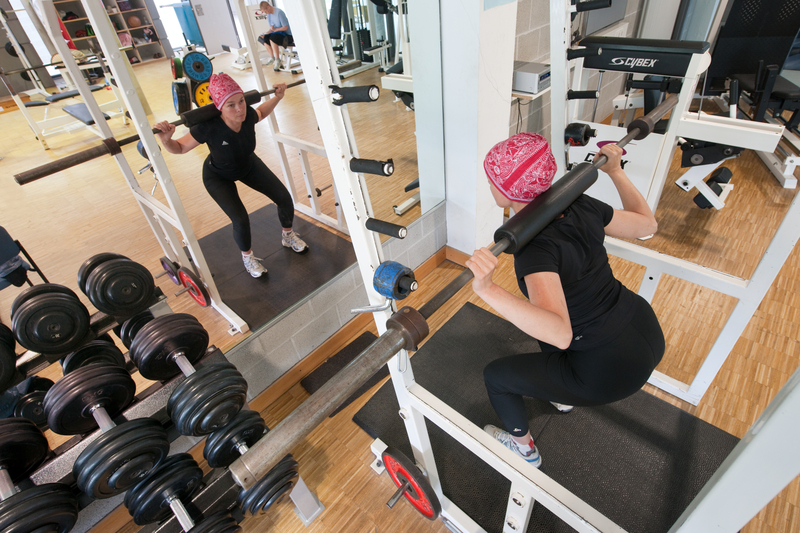 In terms of muscle strength and quality of life, all patients benefited from training during cancer therapy, regardless of their baseline level. After completion of cancer therapy, however, moderate strength training seemed to strengthen less athletic patients in particular and to help them achieve a better quality of life. Patients who already have moderate to good fitness probably need more intensive training. In addition, it was found that patients with very low endurance performance benefit less from endurance training during therapy than others. It is possible that these patients were overwhelmed with training during the strenuous cancer therapy. "Basically, we firmly believe that all cancer patients can benefit from endurance and strength training," says Steindorf. "We would therefore advise all patients to exercise more in order to improve their personal well-being and quality of life". The findings from the study suggest, however, that it may make sense to tailor sports therapy even more closely to the individual conditions of every patient in order to exploit its effects even more efficiently. "Our goal is an individualized sports therapy," summarizes the Steindorf. Use is free of charge. The German Cancer Research Center (Deutsches Krebsforschungszentrum, DKFZ) permits one-time use in the context of reporting about the topic covered in the press release. Images have to be cited as follows: "Source: University Hospital, Media Center Heidelberg".